Ezypay has streamlined Better Health’s payroll system, allowing the company to spend more time helping General Practices provide the best care for patients. 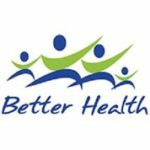 Better Health is a partner in six General Practices in Christchurch, Banks Peninsula, North Canterbury and Timaru. As part of its role, it provides financial, HR and recruitment support. It also delivers a locum service to practices owned by the West Coast District Health Board. The company started using Ezypay about two years ago, after two of its practices had been using the company independently and had spoken highly of it. Finance Manager Maria Easdale says that payroll was a time consuming and complicated process before engaging Ezypay. “I used to be responsible for doing the payroll for all of the practices, as well as Better Health staff. All the timesheets were paper-based and there was a lot to remember. I’d regularly be calling practices before I could do a pay run,” she says. Each Better Health practice employs between 10 and 15 staff across various roles. Nurses, for example, often work part-time and their shifts and hours can change from week to week. Working with Ezypay has made it much easier to do things correctly in this constantly changing environment, Maria says.